Posted in: Computers, Evaluations, Helpful Hints, Opinion. Now that Windows 10 has been released, it’s time to start upgrading my four windows systems. Starting with the oldest system I began last night. Starting with the article on the Verge, I downloaded the ISO for x64 and burned a DVD. 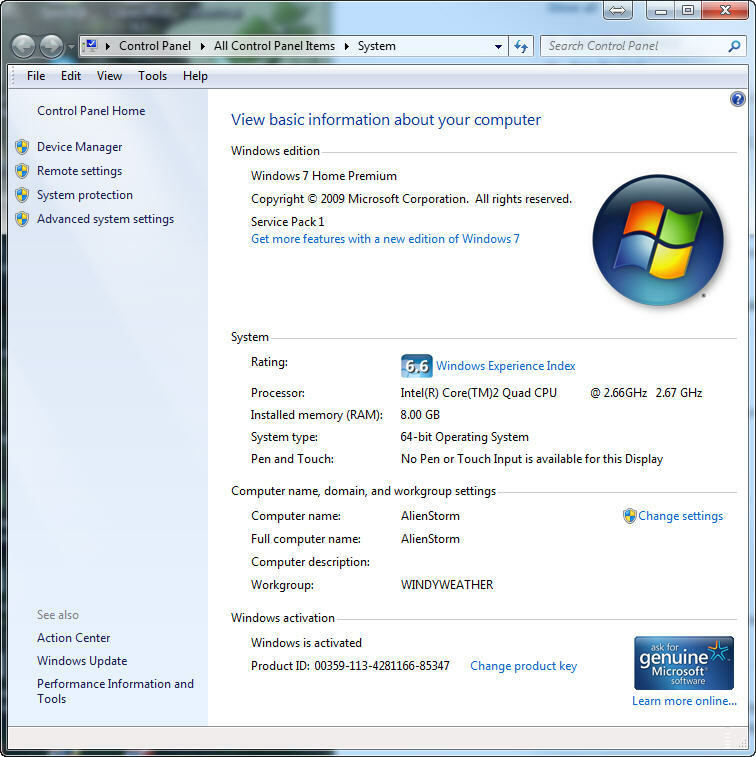 It started out on Vista x86 and has been upgraded to Vista Ultimate x64 and then Windows 7 x64. I backed up and cleaned up the system removing all applications that are not needed in the future. This system is my primary email computer, for which I use Windows Essentials Mail 2012. I backed up all the files from C:/Users/username and made screen shots of the applications in the Programs and Features list. Then I started the install. 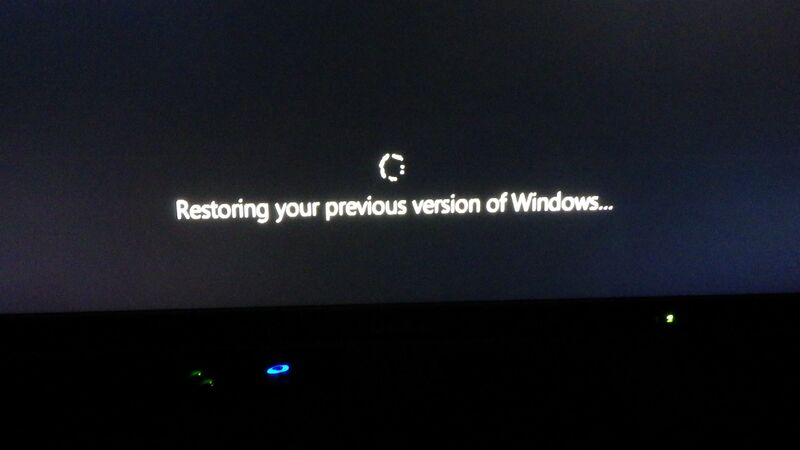 The forced reboot triggered a restore of the previous windows and all was well back on Windows 7 just as it had been. I checked the Nvidia site and downloaded the latest Windows 7 x64 – 341.44, and latest Windows 10 x64 drivers – 341.74 listed for the GTX 260 – which is very old by this time, but still supported. Also this time I skipped the loading of updates during the install which saved a lot of time. Whew.. Looks like it’s going to complete. 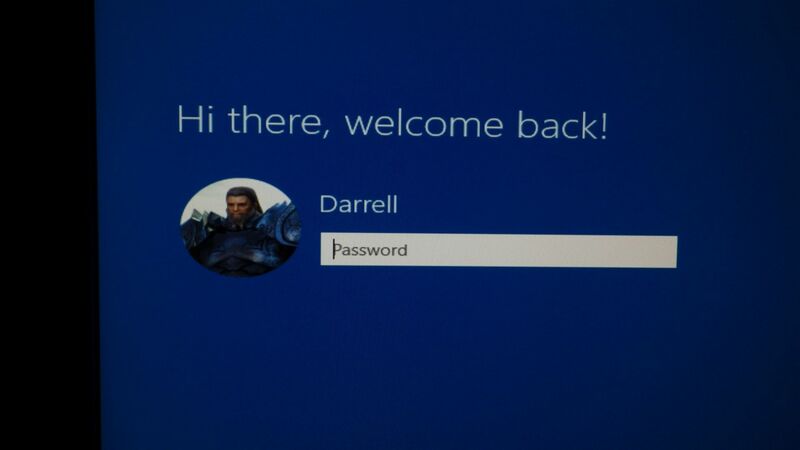 This is the first log-in screen for Windows 10. Installation is not yet complete, but the system is running. 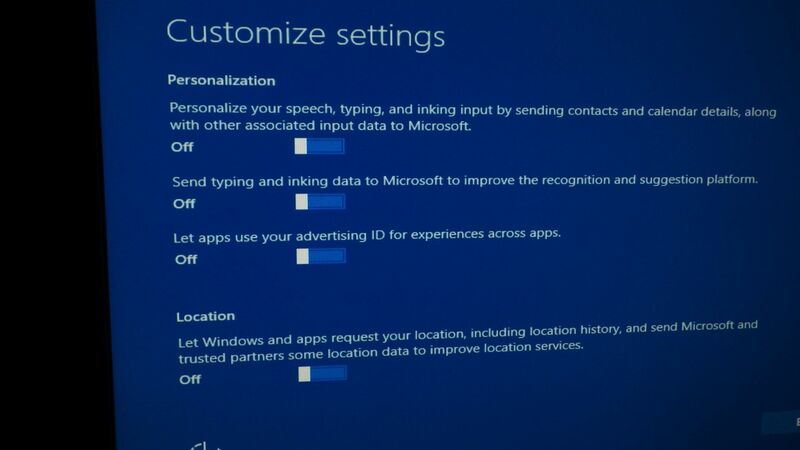 I suggest you not take the default, or express settings, but go through the customization. You will probably want to turn these off, as I did. 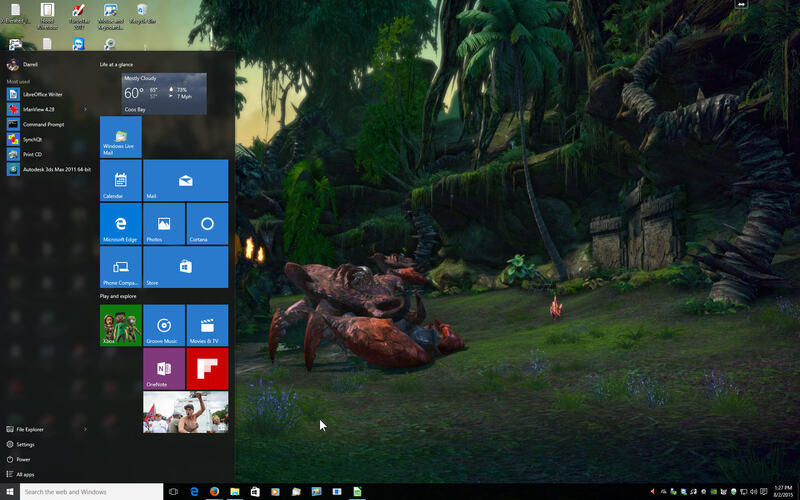 Who wants to share more than they need to with Microsoft? At this point, the system came up with only one of my two monitors and the monitor set to 1024 x 768 rather than the dual 1920 x 1200 DELL monitors that are present. I installed the new Windows 10 Nvidia driver and configured the two monitors… But there was a glitch about 10 minutes later. The left – second – monitor went black after a beep. Logging out and back in did not restore it. Actually the whole screen went black and I had to power off and restart. At this point, I could configure the two monitors again and all is well. Looks like a reboot is required after the Nvidia driver install, which is usually not the case. 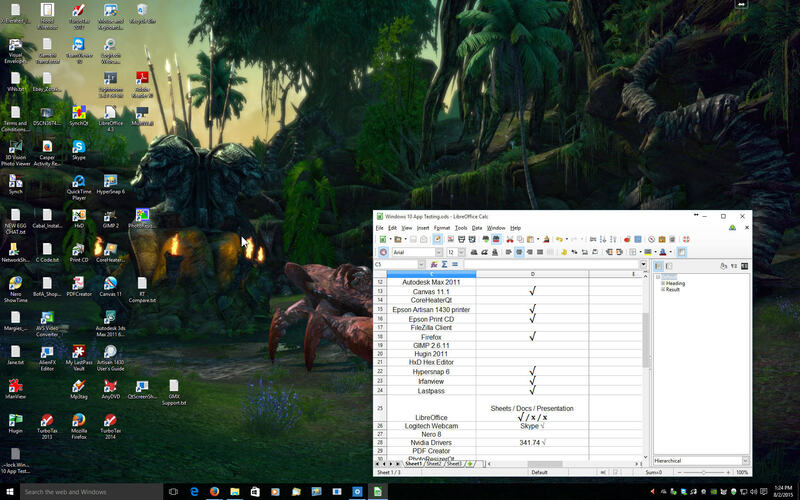 I’ve done a little customization with the start menu. Lots of testing left to go with the apps, but no failures so far. Looks like Windows 10 is ready for prime time, and unlike previous versions, all my applications were preserved.